In the month of March, occupancy rates in Breckenridge were up about 13 percent according to the Breckenridge Tourism Office. Most occupancy gains came in the third week of the month which has been credited to Easter weekend falling on March 31-April 1 and spring break traffic. For the winter season, occupancy was up 3.8 percent in Breckenridge with a 1.8 percent increase in the daily average rate. Over 20 properties and management companies throughout Breckenridge report their occupancy rates to DestiMetrics. DestiMetrics’ reports are produced by the Denver-based market-research firm Inntopia Business Intelligence. 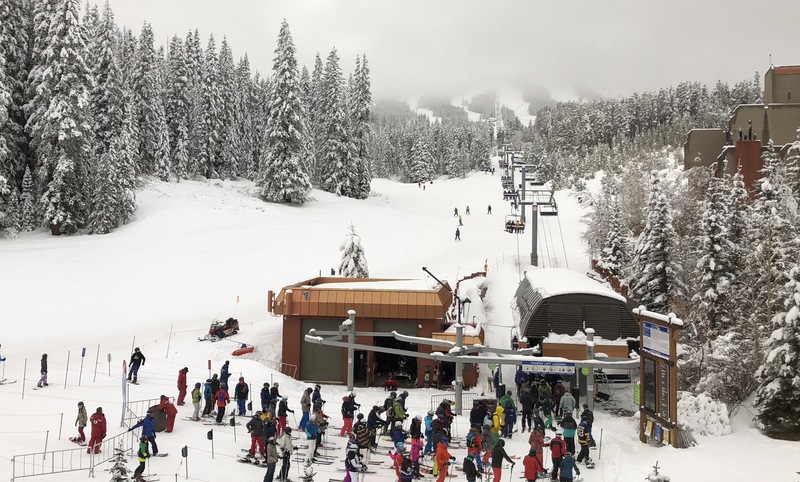 They’re used for a variety of purposes, including gauging how well the lodging industry at western resort destinations perform. When looking at the month of February, the beginning of the month lacked much activity. However, towards the end of the month there was a significant increase. One theory is due to the substantial late snowfall the mountains received. It is thought this late snowfall drove more bookings and higher occupancy rates during the end of the month. As of February 28, 2018 – for the full winter season (which runs November through April) occupancy rates remained down 2.6 percent compared to last season. That is a slight improvement from the previous month, when occupancy was down 3.3 percent. Also, the decrease in occupancy rates has been partially offset by an increase in the average daily rate, which has led to a slight 0.7 percent increase in revenues compared to last winter, according to DestiMetrics. Despite having a low-snow winter season in Summit County, people are still coming and spending money! Strong economic indicators and increased consumer confidence are getting much of the credit for “lending stability” to resort destinations’ lodging revenues. Those indicators include employers adding 313,000 new jobs in February 2018 – well above the expected number – making for the fifth straight month of job gains. At the same time, the unemployment rate remained unchanged at 4.1 percent. Although the Dow Jones Industrial Average experienced some volatility in February, it remained more than 20 percent higher compared to February 2017. The Consumer Confidence Index also hit its highest level since November 2000. One sign of that local growth, according to the Breckenridge Tourism Office, is a boom in the town’s culinary offerings, including 16 new restaurants opening in Breckenridge since late 2016. Breckenridge also boasts an award-winning creative district, surrounded by countless recreational opportunities, and that too is helping the town see a better-rounded economy throughout the year.